Julie Dawkins Family: She's Not Short! 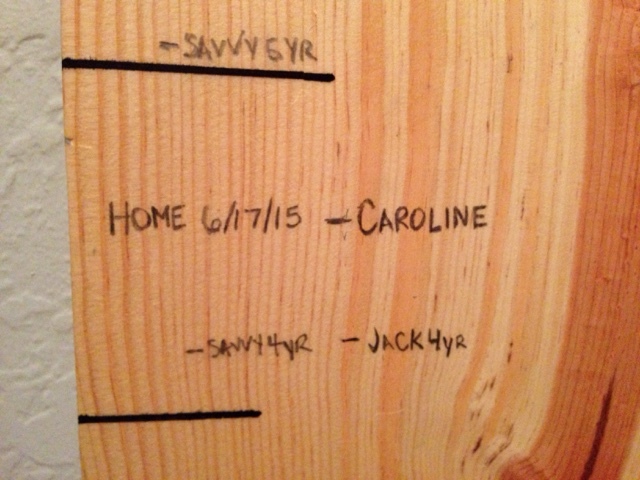 One of the things I was so excited to do was mark Caroline's height on our family height chart. The day she came home! She is a tall girl!! I made this chart before I started making the signs so now I would do things a little different but I still love the look! 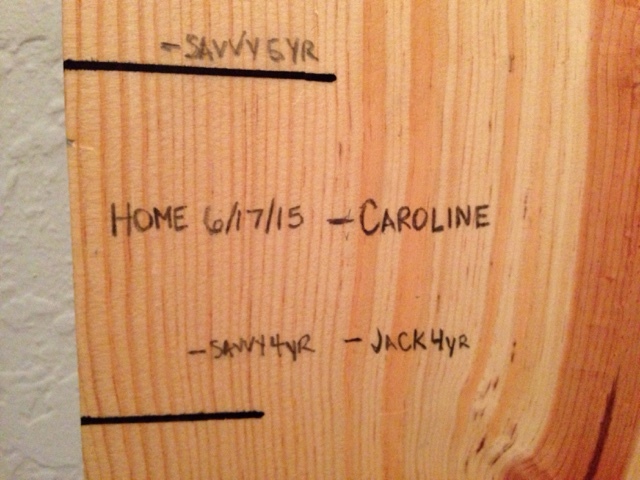 The first thing is to buy an 8 ft board not a 6 ft board because you might get a kid who grows taller than expected. 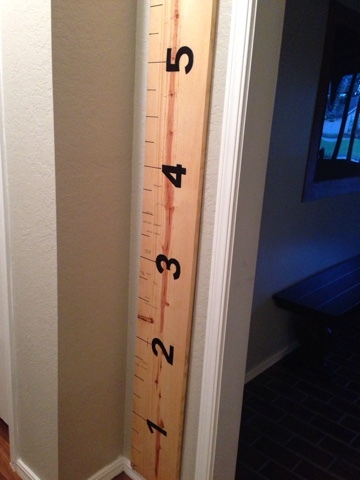 You will hang it above the baseboard so you need start your measurements after measuring the baseboard height. Measure off your marks and either go over it with a sharpie or black paint. The numbers are easy too. There are several ways you can do it. First print them off the size you want them. Next you can cut them out and trace them in place or take tracing paper and place it under the printed number and trace. Fill in the outline with sharpie or black paint using a fine tipped brush.